The heat index is a measurement that combines the effects of heat and humidity. It tells how hot it really feels when the effects of humidity are added to high temperatures. When heat and humidity combine to reduce the amount of evaporation of sweat from the body, outdoor exercise becomes dangerous even for those in good shape. 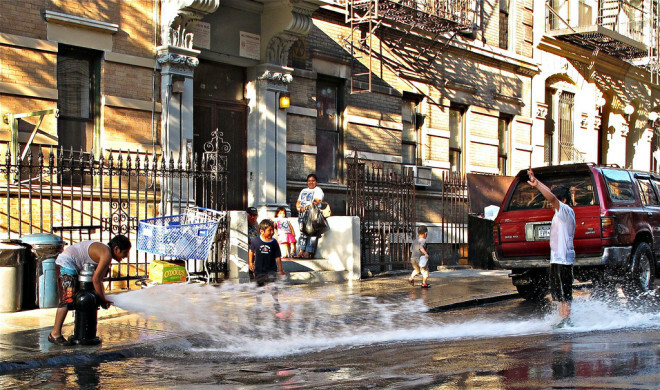 In the District, the Heat Emergency Plan is activated when the heat index reaches 95 degrees. –Stay indoors as much as possible. –Turn on the air-conditioner or fan. –DO NOT leave children or pets in vehicles. –Wear light-colored, lightweight and loose-fitting clothes. –Apply sunscreen at least 20 minutes before going outside. SPF 15-30 is best. –Watch for symptoms of heat cramps, heat exhaustion and heat stroke. Visit one of the District’s “Cooling Centers” located throughout the city, if you do not have access to a cool-temperature location.